Does anyone know where I can obtain plans for a small steam/road roller. I am not having much luck in locating at least overall views even if I have to make drawings from that. I can find several others looking for plans on various forums but no actual plans. Obviously free would be good but reasonable price is OK too. The Minnie 1" scale engine can be built as a roller, Reeves or Blackgates have the deawings and castings. 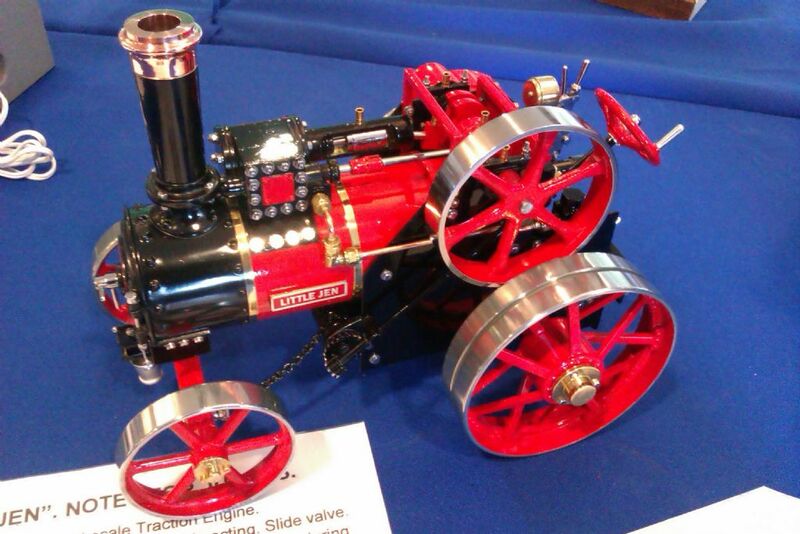 There is also a tandem roller in 1.5" scale by Bill Harris that was in Live Steam , it uses Stuart cylinder casting. Bill Harris published complete plans for a two cylinder, 1-1/2 scale steamroller in the March 1990 issue of Live Steam. Later Village Press, the publishers, sold the plans separately as a stand-alone pamphlet. I have a copy but I think it's now out of print; I can't find it on their website. Perhaps try to obtain the relevant back issue of the magazine from the publishers or a local steam railroading club. Thanks for the information. I saw a picture on one of the forums a year or so back where someone had made one in pink for his daughter/granddaughter. Looked to be about 6-8" long. I am thinking about something like that for my granddaughter. There is always this one. Well, I suppose there is steam involved since the i.c. engine is hopper cooled Seriously though, in these days of increasing reluctance to build boilers, it should be a good option. Unfortunately I'm not aware of the castings for the engine being available. Has one ever been built since the 1930s? Yes actually, thee is a man in Canada who is building the road roller. And I know a guy here who is trying to restore two real ones. Thanks. I was not familiar with the Kenneth Wells TE but the plans are available so I will take a look. We used to own a full size one of those rollers as well, it was a lovely machine to use, I once considered building a 3" scale model but never got round to it. I do have some original Aveling drawings stashed away for it though.